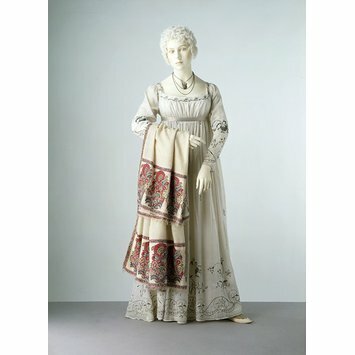 This muslin gown is a typical evening ensemble of the period 1800-1810. The embroidered design of flowers has been worked in cotton and silver thread with tiny gold spangles (sequins). 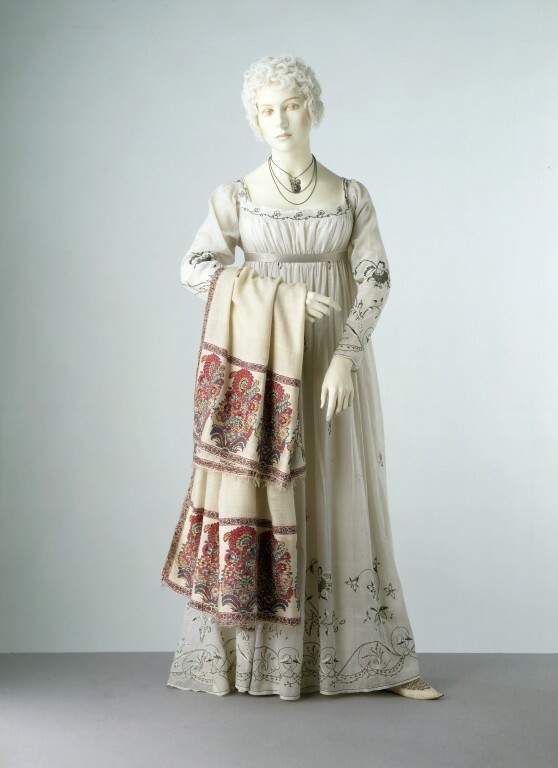 It resembles fashion plates and descriptions from the fashion magazine La Belle Assemblée of 1807. A new development in dressmaking is the fastening of the gown at the back rather than the front. Rothstein, Natalie. Four Hundred Years of Fashion. London: Victoria and Albert Museum, 1984. ISBN: 1851771166.